These units of competence outline the knowledge and skills necessary to perform first aid response, life support and management of casualty(s), the incident and other first aiders until the arrival of medical or other assistance. Learners will be required to complete a 3 hour face-to-face workshop. Learners will need to complete the following assessment prior to the granting of the HLTAID001 Provide Cardio pulmonary resuscitation certificate. 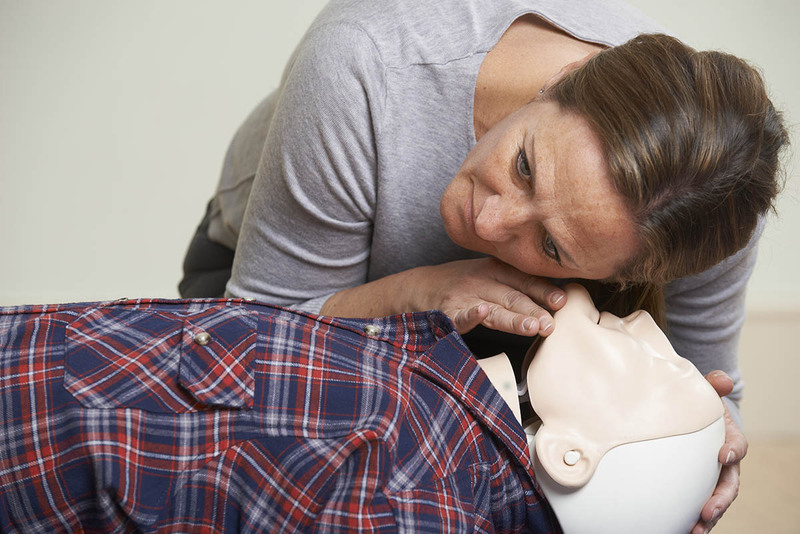 Demonstrate effective CPR on an adult and infant mannequin for a period of 2 minutes on each mannequin. Learners will need to work within scenario based role play activities throughout the course. Completion of an online training module is required prior to attending this course. Please note that if minimum numbers are not met training may be cancelled and you will be able to reschedule to the next available workshop. Guild Training will contact you should this occur. G2018040A This activity has been accredited for 2.5 hours of Group 1 CPD (or 2.5 CPD credits) suitable for inclusion in an individual pharmacist’s CPD plan which can be converted to 2.5 hours of Group 2 CPD (or 5 CPD credits) upon successful completion of relevant assessment activities.